Digga is proud to announce the sponsorship of Nick Morris in 2013. 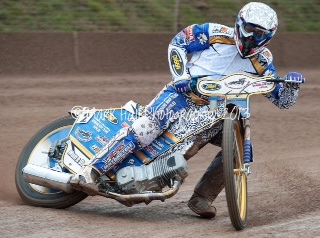 Nick is a young upcoming speedway rider from Brisbane currently excelling in the UK. Nick rides for the Somerset Rebels in the Premier League and for the Swindon Robins in the Elite League. He will represent Australia next week in the U21 World to be held in Germany. We're delighted to have the opportunity to help Nick take on the world. He's a special talent with a huge future - his results speak for themselves. More on Nick's progress coming soon. Stay tuned.